When dealing with major home upgrades or projects, whatever the job, proper installation is incredibly important. Having a accurately installed septic system is possibly the most important of all of the plumbing related projects in your home. If your septic system malfunctions, you are going to be extremely displeased and possibly even displaced. Living in a home where there is a septic backflow is not only unpleasant, but unsanitary. Imagine, you hire a cheap contractor who is brand new to the profession, and 3 months later you end up with raw sewage in your home. Not a pretty picture is it? Instead of making the wrong choice, check out Hereford Septic Service in Hereford, MD. You won’t have buyer’s remorse, and you can rest easy knowing that you’ve got a reputable, insured professional handling your home’s most important plumbing network. One of the most important factors with the installation of a septic system is how to properly grade and layout the drainage network. The way that a septic system works is that there is solid and liquid waste that need to be managed, and they are both handled in different ways. The liquid waste is arguably the most difficult to manage, because there is more volume. The waste water needs to go somewhere, and the answer to the question of “where?”, is into what is called a drainage field. Without the proper grading and the proper drainage field configuration, your waste water might pool in your yard, or worse yet, go back into your home. Even the most seasoned and experienced septic system installation teams can run into issues. The difference between Hereford Septic Service’s team and other teams in the Hereford, MD area, is that our team will make it right. Every installation job has their own nuances and difficulties, and it is impossible to know exactly what you’re going to encounter at the very beginning. 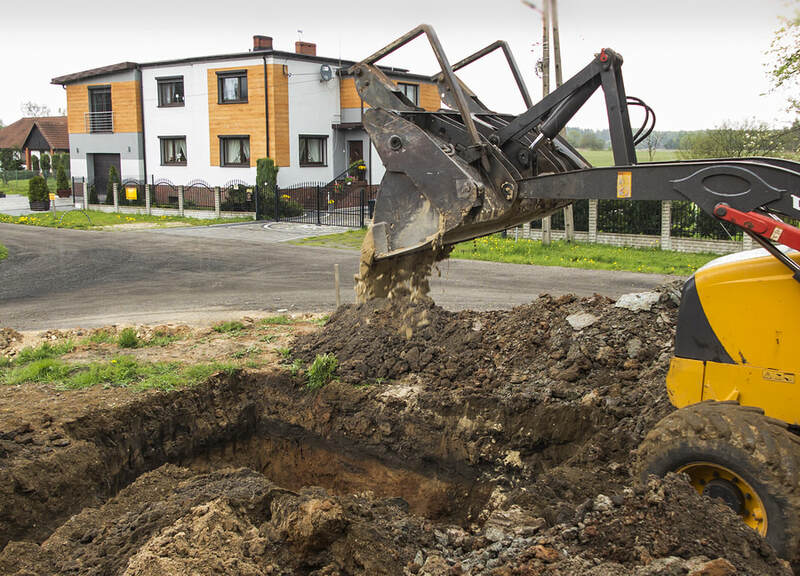 Hereford Septic Service will make sure that whatever your septic installation project throws our way, is handled with professionalism and dedication. The other, less popular name for septic systems is a private on-site water treatment system. Known as POWTS for short, they are used more often than not in more remote or rural areas, where larger water treatment facilities aren’t present. To begin with a septic system installation, you’ll need to do a survey, which includes the amount of total space available for the system and drainage field, the topography and the estimated water usage of the structure that is using the system. Hereford Septic Service is always one step ahead of any issues, and a septic system survey is the best way to ensure that. Once you’ve completed your survey, you’ll need permits to do the installation. There are a couple of methods for installation, one of which being a gravity fed system. This is the most popular, because the installation cost is less and there aren’t as many points of failure. There is more to the installation, of course, but Hereford Septic Service is here to help you through the process. Give us a call today and let us show you what we can do!